Shocking video shows a death-defying stunt by a Kashmiri young man, in which he lies on the railway track while a speeding train passes over him. 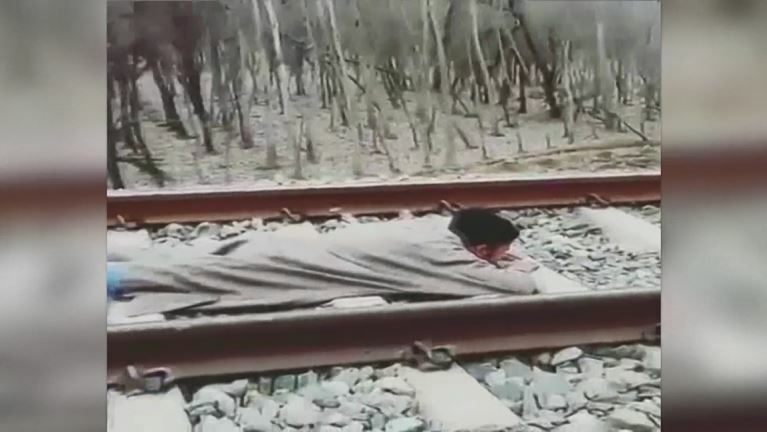 In an undated video clip, 20-year-old Adil Vaid from Bijbehara, Anantnag in the northern Indian state of Jammu and Kashmir can be seen lying face down in the middle of the railway track. A train, almost half a mile away, can be seen approaching him. 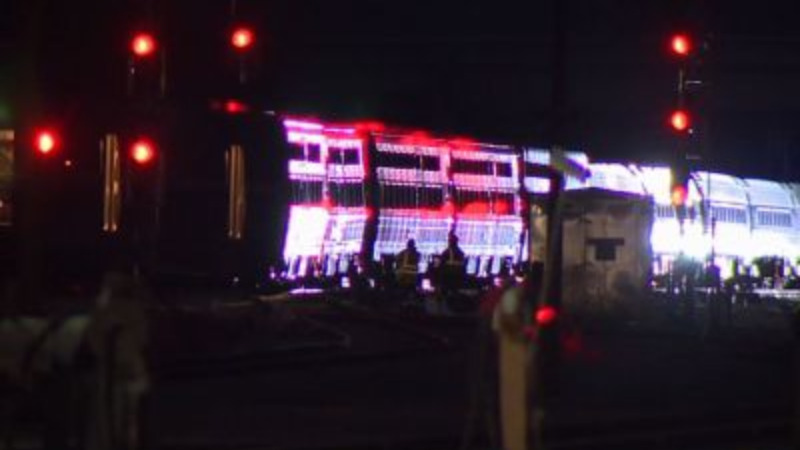 But instead of moving away from the track, the college student held his ground and didn't move until the train passed over him. He lets out a celebratory shout after the stunt to his friend, Muzamil Qasim, who recorded the video. The video sparked outrage on the social media, with users demanding strict action against Vaid to prevent other youngsters from being inspired. Javed Dar, an award winning Kashmiri photojournalist reacted on the video saying: "Railway police should identify this guy and counsel him so that he will not encourage other people to do it. "This is really non-sense. He should have thought of his parents before doing this stunt." Even the state's former chief minister, Omar Abdullah expressed similar views that the young man should be counselled and let off with a strong warning. Abdullah wrote on twitter: "There is something drastically wrong with this sort of adventure seeking. I can't believe the stupidity of these young men. Both the youngsters were called to a local police station, where police officials advised them not to repeat such dangerous stunts. 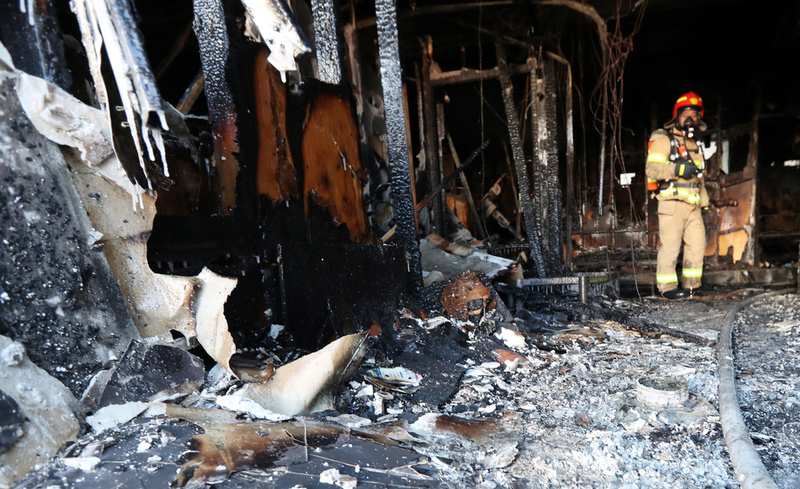 Senior superintendent of police, Altaf Ahmed Khan said: "After the incident came to light, we called both the youngsters to police station and counselled them. Both Vaid and Qasim have now apologised for the act and urged other youngsters to refrain from attempting similar stunts. Vaid said: “What I did was a mistake, and I have realised that.